I have been thinking that I would like to start a feature here on the blog, I wasn't sure what it was going to be. Then, it just came to me! I can feature some of my foreign polishes that I love, and as a bonus I could do it on Friday so I could come up with a cheesy tag line :) Thus was born Foreign Focus Friday! I enjoy buying foreign polishes. Whether it's from one of the big retailers online, ala Llarowe, Ninja, Harlow and Co and even Ebay, or a blog sale, I just want them all. Especially the Essence brand. I have this compulsion to buy every single one of them. I want all the Trend Editions that they come out with. But those are impossible to get here, so I will just drool over those from afar. 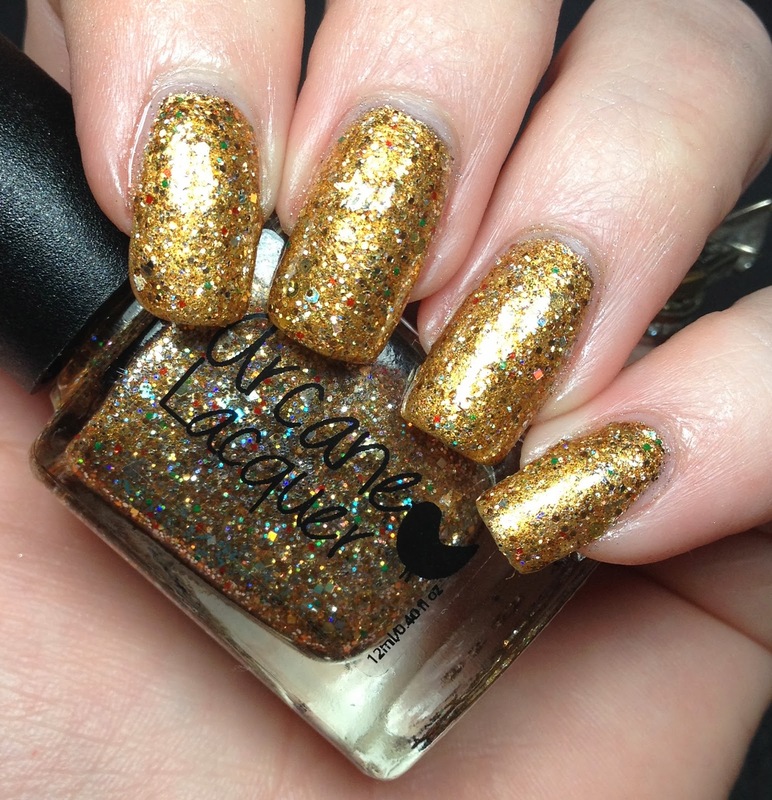 So today's first edition of Foreign Focus Friday is a polish from Arcane Lacquer. This is Twinkling Tinsel and is part of the Christmas Reflections collection. 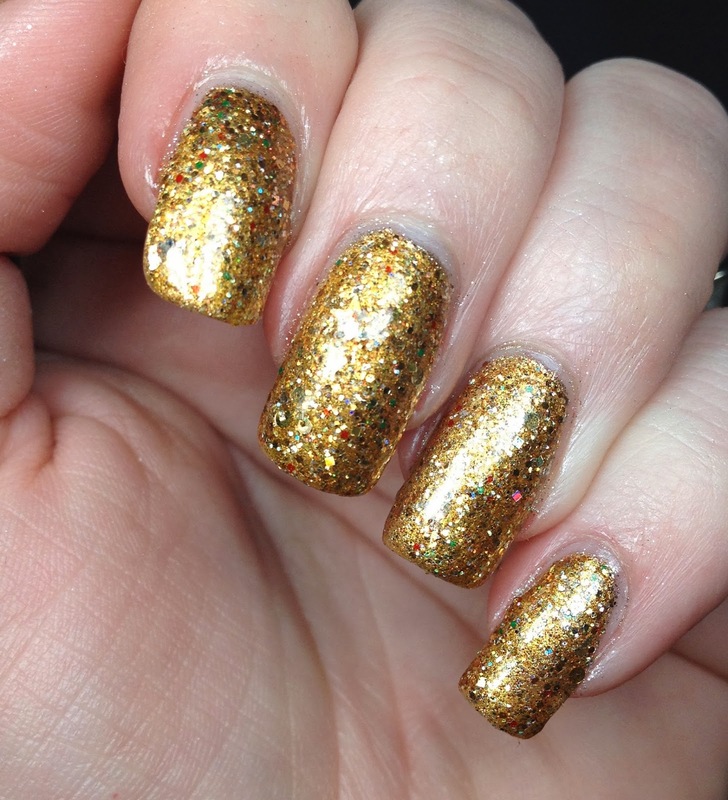 Twinkling Tinsel is a gold toned base full of glitter. I mean this polish is just packed with it. 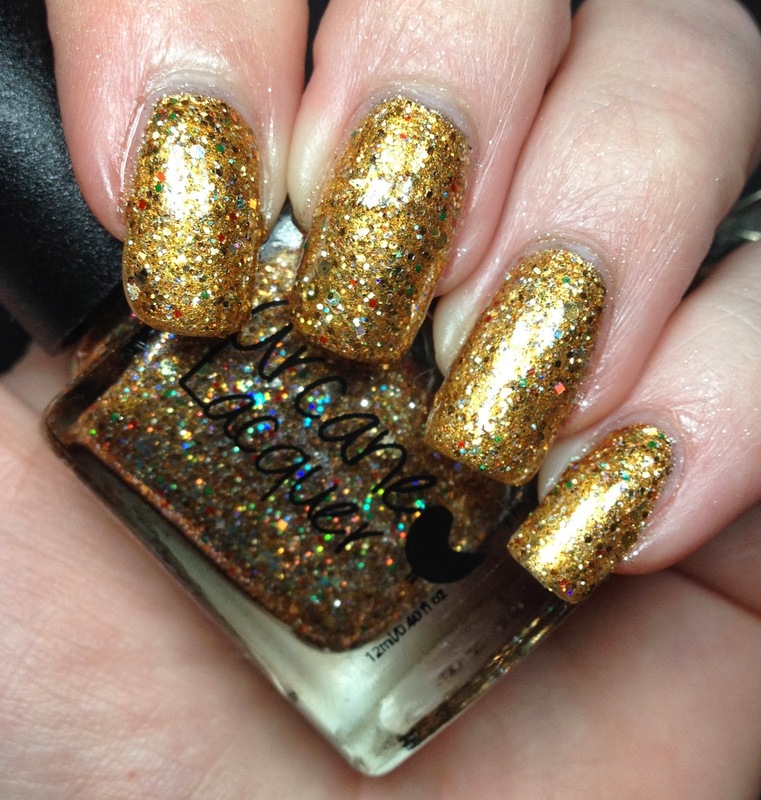 Arcane describes the glitter content as: lots of gold and dark gold hexes, shards and dots. Along with gold and silver stars, green and red hexes. So that wraps up my first Foreign Focus Friday post. What do you think? Is this something that you would like to see more of?? Wow this polish is beautiful!